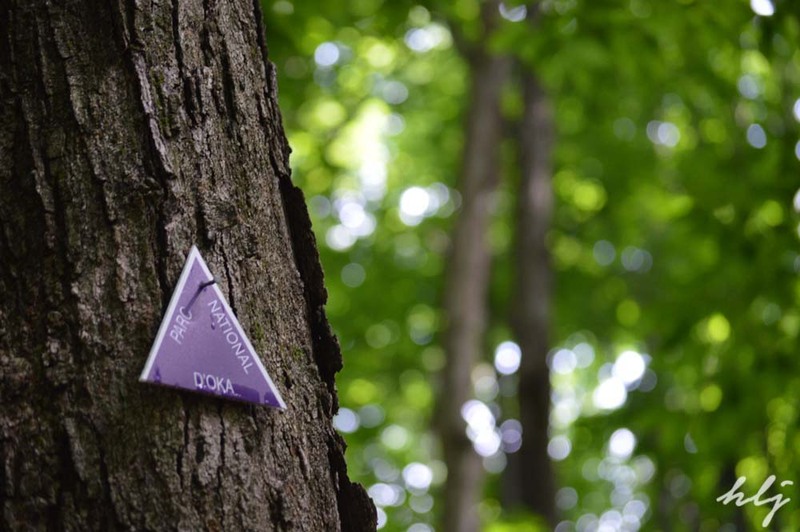 OKA PROVINCIAL PARK — It’s not Oka’s fault. In a neighbourhood of supermodel parks, it’s the girl next door. It’s perfectly lovely—it’s just that because its sisters are so extraordinary, Oka’s easy to forget. The provincial park was also put in the unenviable position of being the testing ground for my foray into the camping lifestyle. But more of that next time. The point is: this lovely section of Quebec just 60 kilometres west of Montreal had a lot of strikes against it going in, so it did not bad considering. 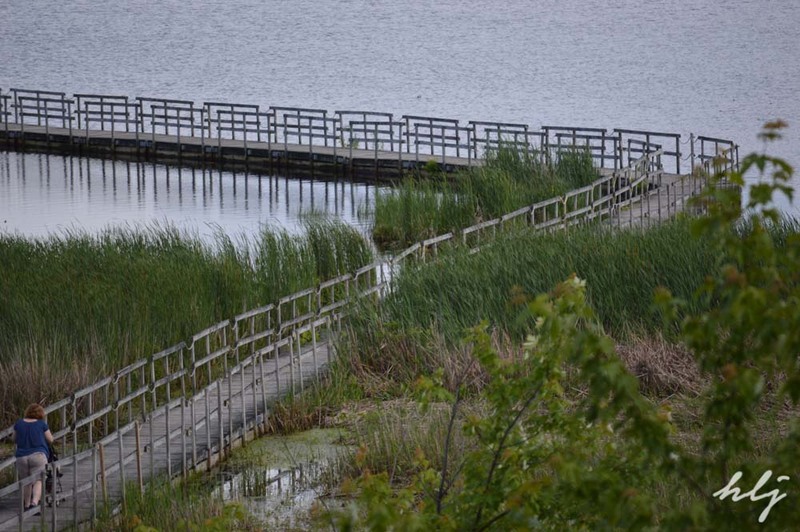 Oka has what the others parks have: trails through forests and long strips of sandy beach. There is marshland and rolling hills and shy wildlife (spotted: frogs, raccoon, chipmunks, a heron, a vole). It has a crisp lake and a painted-tree skyline and rocks to rest on that are older than history. But it’s missing just one little thing: personality. The trails are brown and green with just a spark of yellow here or flutter of blue there. The stroll to the heron nesting area is comfortable and shaded but the observation tower, camouflaged by dozens of ancient trees, offers a view that is partially obscured by those trees. Our favourite part of a quick hike on the Grande Baie trail was the rest area at the end of a floating path into the marshland. We had the dock to ourselves; the soundtrack was provided by frogs and blackbirds. 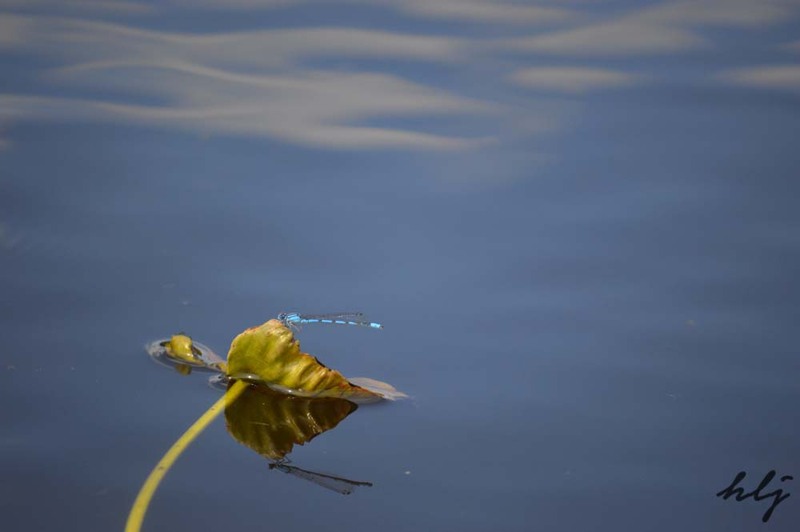 Lilypads floated in the still water, host to the bluest of dragonflies. That, there, was our moment of perfection, our supermodel moment with the girl next door. Oka provincial park gets two stroller wheels (out of a possible five), but we feel kind of bad about it. Probably subsequent visits including a tour of the Calvaire historical site will bring the score up. The trails and campground were pristine, but lacked personality. There was little to be awed by, besides the general wonder that is Quebec herself. The beach—also pristine—was crowded during the day with school groups and guys who 18-year-old Trevor generously described as “douchebags.” We were witness to an arrest by the Sûreté du Québec provincial police force—I’m sure that’s not an everyday occurrence, but it set the mood. For a better Oka beach experience, show up after suppertime on a drizzly day. The water’s frigid, but hey, we’re in Canada, so what did you expect? The Sepaq staff are, as always, an extreme pleasure to be around. They always have a smile, and answer and a general friendliness about them. Beautifully written! Congratulations on trying camping for the first time! (I thought you had already camped before) The first time is the hardest – also, you know what you like and don’t like to you can adjust the next time. Thank you! I will try it one more time, but as you’ll see in my next post, it was kind of a disaster. But I’ll do anything for a campfire.